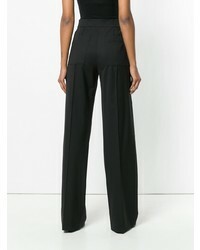 For a nothing less than drool-worthy outfit, wear a white dress shirt with Proenza Schouler wide leg pant. When it comes to shoes, this look is round off nicely with black leather oxford shoes. If you're on the lookout for a casual yet totally stylish look, consider wearing a light blue denim shirt and Proenza Schouler wide leg pant. Both garments are totally comfy and will look fabulous paired together. When it comes to footwear, this ensemble is finished off wonderfully with brown leather heeled sandals. 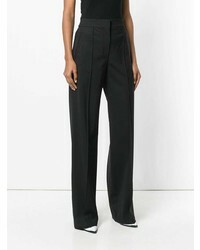 If you're on the lookout for a casual yet totally chic getup, try pairing a black blazer with Proenza Schouler wide leg pant from farfetch.com. Both items are totally comfy and will look fabulous together. Black suede pumps are a smart choice to complete the look. If you're hunting for a casual yet totally stylish look, marry a white and black fringe kimono with black wide leg pants. Both items are totally comfy and will look fabulous together. Break up your getup with more casual footwear, such as this pair of black leather gladiator sandals. If you're scouting for a casual yet chic outfit, team a red leather biker jacket with Proenza Schouler wide leg pant. Both pieces are totally comfy and will look fabulous together. Rocking a pair of black leather ankle boots is an easy way to add some flair to your outfit. 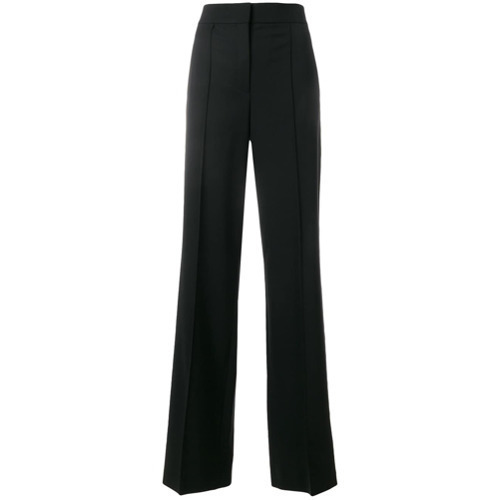 For a knockout-meets-stylish getup, consider teaming a navy coat with Proenza Schouler wide leg pant — these items fit beautifully together. 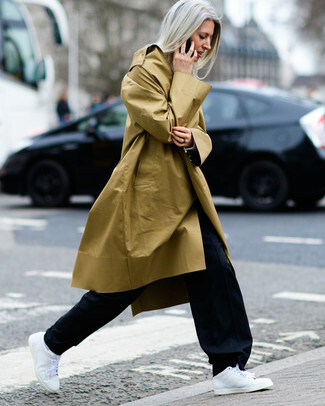 For something more on the daring side to round off this outfit, choose a pair of white leather low top sneakers. 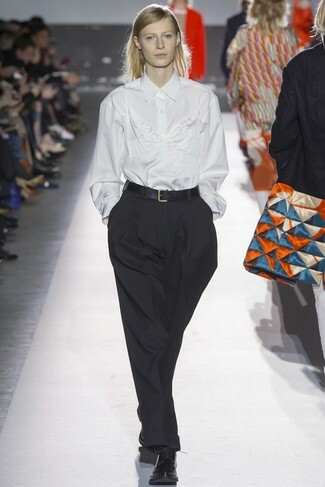 If you're after a casual yet stylish ensemble, go for a white short sleeve blouse and Proenza Schouler wide leg pant. Both pieces are totally comfy and will look fabulous together. Mustard leather tassel loafers are a fitting choice here. For a smart casual ensemble, pair a tan trenchcoat with Proenza Schouler wide leg pant — these two items fit nicely together. For something more on the daring side to complement this ensemble, make white leather low top sneakers your footwear choice. 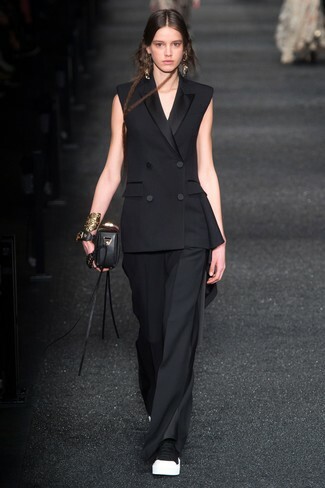 If you're in search of a casual yet absolutely chic look, rock a black sleeveless blazer with Proenza Schouler wide leg pant from farfetch.com. Both items are totally comfy and will look fabulous paired together. For something more on the daring side to round off this getup, make black and white canvas high top sneakers your footwear choice.